Founder and CEO Travis Bond had left the company “unexpectedly” several weeks before. The interim CEO assured employees last Monday that the company was “on incredibly good financial footing” because it was about to be acquired by Bill Smith, the founder of grocery delivery company Shipt. The deal fell through Thursday as the company “ran out of time,” after which employees were told to vacate its two Florida locations immediately as the company would be shutting down at midnight. 292 employees lost their jobs. They will not receive severance payments and their health insurance was immediately terminated. 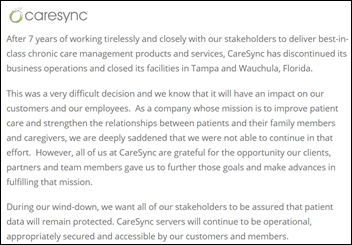 CareSync announced its closure on its website, but says its servers will remain operational so that customers can continue to access their medical information. 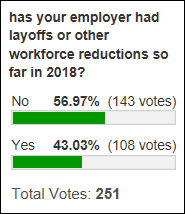 A slight “most” of poll respondents say their employer hasn’t laid people off in 2018. Layoffs are business as usual for many companies, it seems. Maybe that’s a more face-saving option for employees who would otherwise be fired – the health system layoffs I’ve had a hand in orchestrating were all designed to part ways with subpar performers without having to go through the internal and legal challenges of firing them. New poll to your right or here: do you admire and respect the highest-ranking executive of your employer? 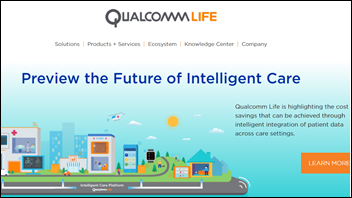 Cost-cutting Qualcomm is seeking a buyer for a majority stake in its Qualcomm Life subsidiary, which includes the 2net remote patient monitoring system and Capsule medical device integration platform. The New York Times covers Humana’s acquisition of two for-profit hospice companies that made it the country’s largest hospice care provider, noting that profit margins are high. Politico reports that Allscripts is offering voluntary retirement to a large number of employees. Memorial Healthcare (MI) chooses CloudWave to implement Meditech Expanse. Cozad Community Hospital (NE) went live with Evident supply chain management in May 2018. Arkansas Children’s Hospital System (AR) will go live with Workday supply chain management software on July 1, 2018. Holton Community Hospital (KS) switched from Medhost to Athenahealth on June 19, 2018. 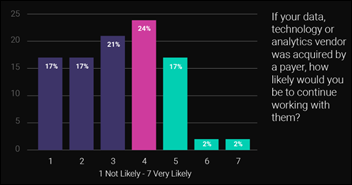 A Reaction Data report finds that negative opinion about payers acquiring vendors has increased, as has hesitation about sharing information with those companies. The Madison newspaper describes the VA’s early success in rolling out Epic’s scheduling system. Lead contractor Leidos says it can implement the entire VA system on the system in two years for $350 million versus its contract that calls for a five-year implementation at a cost of $624 million, although the VA hasn’t committed yet or announced its plans following its selection of Cerner. Former doctor Elisabeth Rosenthal’s New York Times opinion piece says that the White House’s detail-light hopes that encouraging free-market principles to bring drug prices down hasn’t worked historically, as drug companies keep raising prices as a group even as competing products are introduced. It notes that lifesaving leukemia drug Gleevec – invented by a researcher who didn’t seek a patent for it and never made a penny from it – cost $26,000 when it was first marketed in 2001 and has spawned several competing products since, but all of them now cost $150,000 per year. Some employees expressed anger that they weren’t told about the layoffs in advance, that management won’t confirm how many people were let go, and AIS’s lack of transparency about any changes that would affect its Cerner, Epic, and Meditech teams. Medicity and Philips Wellcentive will present at the Internet of Health event June 26-27 in Boston. 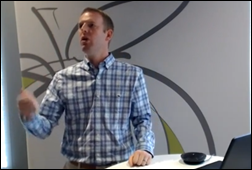 Bill Macaitas (Slack) joins Liaison Technologies in a brand advisory role. Kyruus releases its ProviderMatch for Consumers solution in Spanish. Meditech will host the 2018 6.1/Expanse Revenue Cycle Summit June 28-29 in Foxborough, MA. Navicure/Waystar will exhibit at the AAHC Conference Expo June 27-28 in Scottsdale, AZ. Netsmart will exhibit at Post-Acute 360 Strategy & Solutions Conference June 25-27 in National Harbor, MD. Clinical Computer Systems, developer of the Obix Perinatal Data System, will exhibit at the Indiana Rural Health Association Conference June 26-27 in French Lick, IN. OmniSys will exhibit at Cardinal Health RBC June 27-30 in San Diego. Recondo Technology’s automated RCM suite achieves HFMA Peer Review Status for patient access and business office software. WebPT will exhibit at the Next APTA Conference and Exposition June 27-30 in Orlando. ZappRx will exhibit at the Pulmonary Hypertension Association’s annual meeting June 29-July 1 in Orlando. The JAMA article which suggests that “HHS should consider creating and enforcing penalties for failure to release all relevant clinical information to treating clinicians in a timely fashion” is a terrible idea. While I agree that HIPAA both by design and by misinterpretation can cause harm I don’t think more legislation is going to fix anything. HHS has implemented a set of often vaguely written regulations for which they fine organizations heavily if they fail to implement properly. Thus, they have created the “better safe than sorry” mentality that seems to be standard operating procedure at many covered entities these days. Creating the type of penalties described would likely be a “damned if you do, damned if you don’t” scenario. Even though companies come and go, when something like this happens you can’t help but feel for the employees. That is always a tough pill to swallow. They will all do fine elsewhere, but I’m sure it stings. As an executive, you are always balancing trying to be transparent with employees, while also not “oversharing” and getting people unnecessarily alarmed. You try your best to maintain some level of stability even though your daily life might have huge ups and downs. In this case, it sounds like management should have been a bit more transparent — if it is true they communicated just a few days earlier that they were on excellent financial footing. Been there. Done that. Both sides.